First, Prince Harry and Meghan, the Duchess of Sussex, are on a Royal Tour of Australia with Sydney as their first stop. Then there is the upcoming 2018 Invictus Games founded by Prince Harry for wounded, sick and injured veterans to be held in various locations with 500 athletes from 18 nations. Then there is the 2018 X Games – the world’s premier action sports festival — at the Spotless Stadium, Sydney Olympic Park. Add to those the many other festivals, art markets, fairs and pop-up events that make October consistently live up to be one of the best months to be living in, or visiting, Sydney and you have a city exploding with sights and sounds, feels and flavors. As Australia enters the middle of spring, there’s a true celebratory air across the city. One reason is another huge event that is drawing ticket buyers from all over Australia, New Zealand, Philippines and countries as far as the U.S. “ASAP Live in Sydney” – the eighth leg of the ongoing global live concert tour of the longest-running TV variety show from ABS-CBN – is all set for October 20, this Saturday, at the amazing ICC Sydney Theatre in Darling Harbour. As the countdown to the big event happens, the ASAP team is making sure that it soaks in Sydney’s spirit by making key visits in the community. 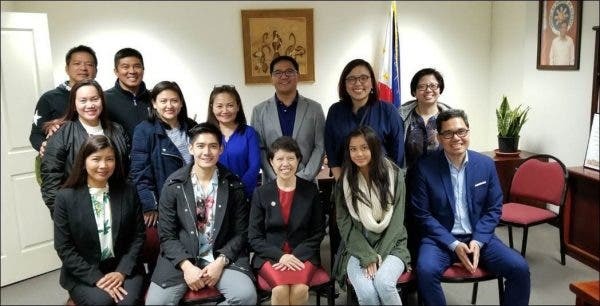 After the SBS visit, the ASAP team headed for the Philippine Consulate General on Wentworth Avenue to pay a courtesy call on Philippine Consul General of Sydney Maria Teresa L. Taguiang. The Consul General and her staff warmly welcomed the team. Consul General Taguiang shared that prior to taking her new post in Sydney, she was the Consul General of thr Philippine Consulate General in Osaka-Kobe where she had the pleasure of working under Philippine Ambassador to Japan Manuel M. Lopez. 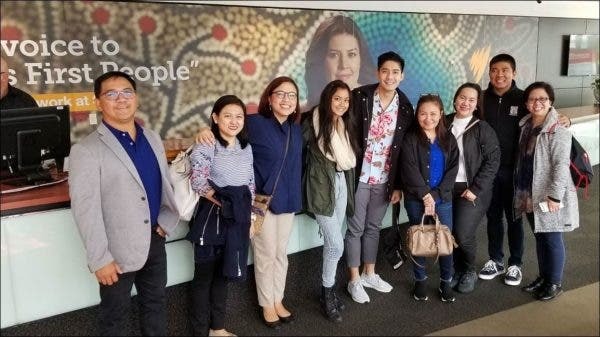 She promised the good ambassador in a recent conversation that she will take care of the huge ASAP contingent coming from the Philippines who are all out to represent Filipinos and give a one-of-a-kind show in Sydney. Count “ASAP Live in Sydney” to be surely among the area’s world-class entertainment offerings this October.